Our intention as “Amigas” is to share our life experiences and a few things we learned along the way. We are also still learning everyday so hopefully we will never run out of things to talk about! Hi, my name is Tatiana and I’m one of the “Amigas” on this blog. 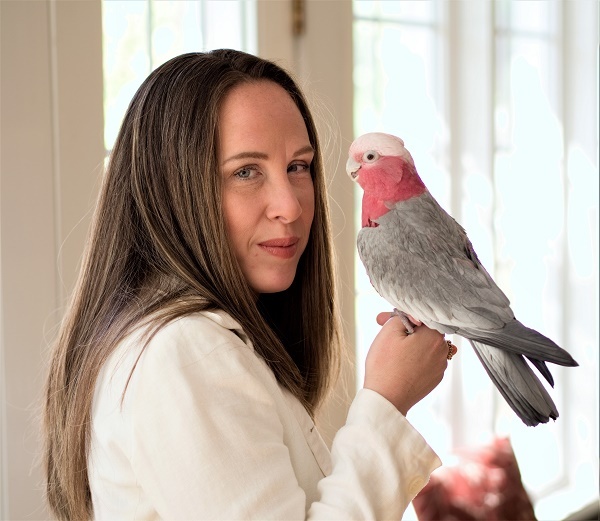 I’m a disability attorney by day with a full practice and a blogger anytime I have left after taking care of 5 cats, 43 birds ranging from cockatoos, macaws, African grays, doves, cocktails, chickens, geese and ducks… and a partridge and a pear tree! Oh, and let’s not forget, the husband too. I also rescue birds, mostly parrots who were abandoned or abused and find them good homes. So yeah, I get busy sometimes! It’s a full house full of crazies (but I love them!) but making it a home is my goal and since it’s a big house, nothing better than doing a lot of the projects myself to save some money. Plus, it’s fun and the results are always unique. I want to share my projects with you and show you how you can do it yourself and brag about it too! Hi, my name is Debora. I’m a belly dancing instructor by day, night and weekends and when I’m not dancing I am always studying to perfect my craft. I run a busy studio with lovely students who share my passion and I love to see them shining on stage and showing how much they learned and improved and I’m happy to be part of their lives. I am also happy that my craft allowed me to travel all over the world and I was able to meet so many special and talented people and so many beautiful places. I am a very lucky lady and I hope you can join me/us on this journey and that I can help you improve your body and mind through fitness, healthy living/eating and yes, a lot of dancing! Hi, I’m Angry Princess. You may be wondering, who is Angry Princess? She/He/It is a person/creature like all of us. She IS all of us! She expresses what we sometimes don’t have words to express. She goes on rants, outbursts but mostly she likes to encourage us to share our thoughts or at least admit to ourselves that some of these thoughts are in our minds. She will put in print our fears, our happy thoughts and our dreams. Angry Princess is not necessarily angry. She’s just human like us. She will say everything you wanted to say but had no courage to say it, or you never thought other people thought the same thing. You will learn with Angry Princess that we are so alike and with her we will learn that our fears are the same as your friend’s and neighbor’s fears. Your happy thoughts are the same as others. We are one world and as unique as we all are, we are very much alike! If you wish to receive the updates on our most recent projects and posts sign up below. As a welcome gift, you will receive a Project Budget Worksheet so you can make sure your project will stay within budget.